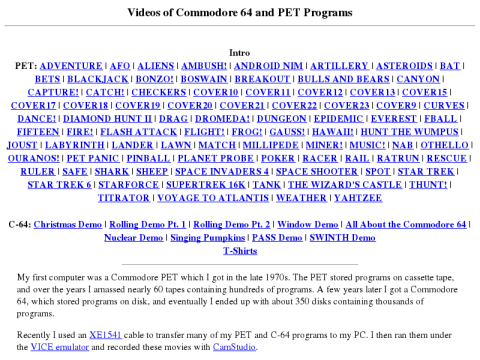 The C-64 programs are mostly early demos that showcase the C-64's audio and video features. Some were produced by Commodore while others were created independently. Most of them are from way before the demoscene years, which took demos to a whole new level.